Now I love Cath Kidston. I could smother myself in floral fabric and would die a peaceful death. 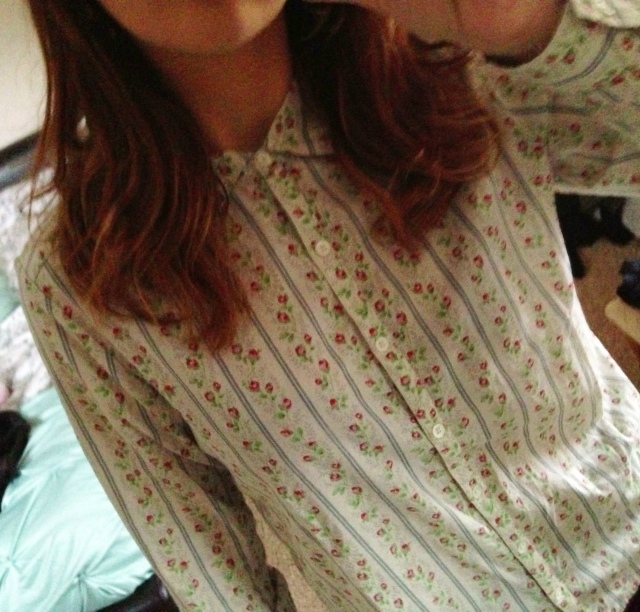 However I have never been one to wear Cath Kidston clothes until now that is. 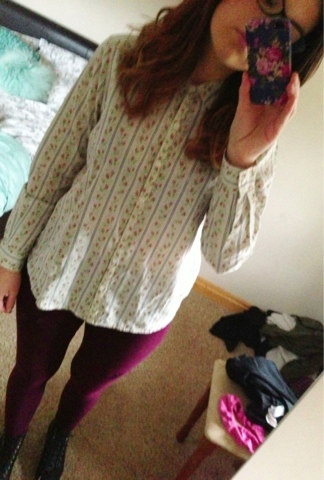 This shirt was in the sale. It was a sneaky £12 so I thought I’d give it a go. I bought a 12 as I wanted it quite big. I do think I could have done with it even bigger so would perhaps get a 14/16 to get the baggy fit that I normally wear shirts. I like this a lot, I think it’s cute but not too flouncy and granny-ish. 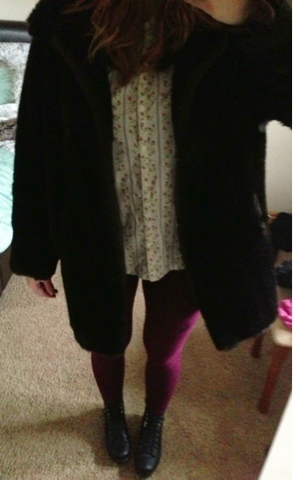 Don’t get me wrong I love granny style but sometimes I can look more old lady, less retro chic. The boots and fur toughen it up a bit. Although the boy did ask if I was wearing my pyjama top out when I left the house this morning?! You can’t please everyone! Haters are gonna hate.